Last week, DRIM partners ZRC SAZU, G&S and Caritas Akademie got together in the city of Graz to meet with various stakeholders in this lovely south Austrian city. 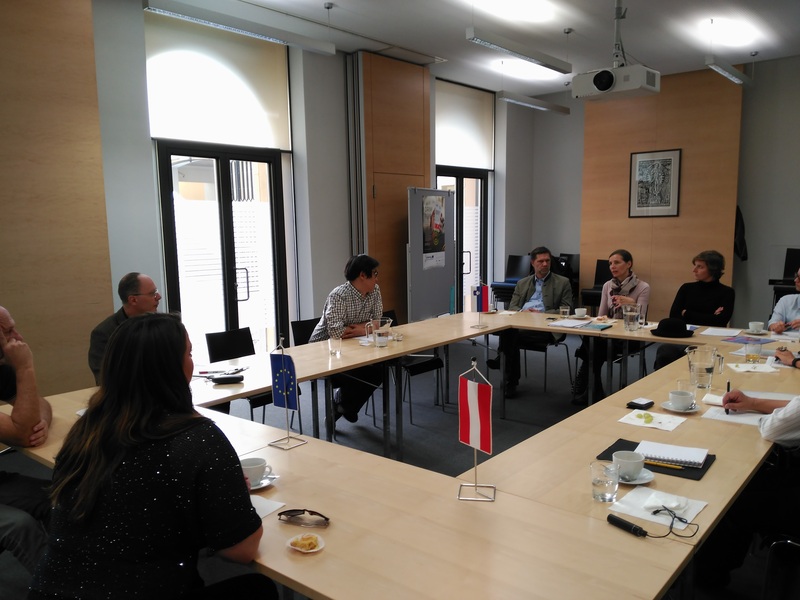 At the meeting, representatives from City of Graz, Office of te Regional Government of Styria, Diocese Graz as well as guests from Japan's University of Osaka exchanged their views on integration issues in Slovenia, Austria and wider Danube region, discussed with the DRIM project members the possibilities of collaboration and reconfirmed the existence of many synergy possibilities between the DRIM project, the city of Graz and the regional government. 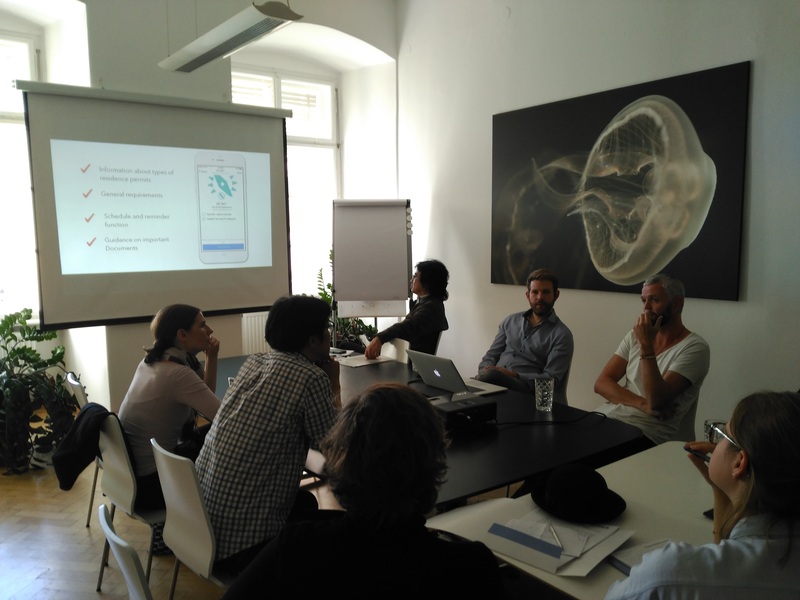 In the afternoon the partners discussed the possible futures o DRIM's output Danube Compass (an information platform for integration of migrants in Danube region), especially in the connection to new digital technologies that are already shaping the work processes of so called smart cities. The company Codeflügel introduced the idea of "DCbot" an innovative chatbot technology adapted to Danube Compass to boost its interactive potential. The most exciting debate was concluded by a visit to Scloss Eggenberg and the introduction by hosts to Osaka-jo-zu-byobu, a rare 17. century folding screen from Japan depicting Osaka Castle.